The lathe machine has been well described as the mother of all metal shaping processes. The computer Numeric controlled lathe has taken metal shaping a notch higher by making it possible to machine metal parts in an automated process, thus reducing the human supervision required and increasing the total output of the machine. The design and development of the CNC lathe has therefore been able to maximize productivity and efficiency to guarantee increased profitability than before. The use of this special computerized control technology reduces the need for human supervision and has eliminated downtimes associated with fatigue and other human factors such as concentration and human errors. The latest machining trends indicate that CNC lathe machines have replaced the traditional lathe due to their accuracy of machining, precision, repeatability and ease of operation. The equipment has been developed to utilize modern tooling techniques including carbide tools, for maximum production efficiency. Different types of CNC lathes vary with different manufacturers. There is however some common features in all these machines. The basic operation involves the turret which houses the tool holder and directs them as required. The spindle is designed to hold the work piece and the inbuilt slides allow the turret to move in multiple axis. CNC machines are completely enclosed during operation to guarantee safety to the operator. With the rapid technological development, different lathe machine manufacturers employ different technologies in the user interfaces that may make operators experience difficulties learning the system. The development of affordable and advanced computers with operating systems such as the Linux and other open source CNC software has made these machines more affordable and available in machining industry. 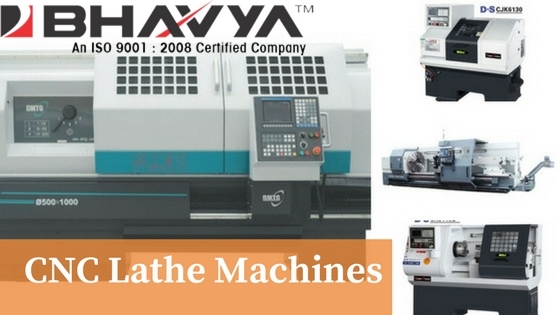 A wide range of innovations have been made depending on the needs of the target markets of these lathe machines. The dual spindle lathe machine combines the y axis with the c axis as well as live tooling to enable multiple operations to happen. The tool room lathe is made in such a way to allow easy tool machining and variable parts making. Horizontal milling is carried out using horizontally configured CNC lathe machines. The equipment is designed using rotating and cylindrical cutters with ability to move in up to five axis and therefore able to produce a variety of shapes, holes, slots, and other details in a three dimensional work piece. With increasing production and need for quality and long lasting parts , special purpose CNC lathe machines have been developed . The 3 Axis CNC lathe machine has several important features that keep it ahead of the other models. It is able to accommodate a large number to tools during machining. Equipped with strong servo motors for both the X and the Z axis motion. The collet clamping system is pneumatically controlled hence smooth in operation. The CNC lathe machine is the epitome of excellence. The computerized turning center remains a symbol of perfection in machine tooling. The high precision and high performance turning processes achieved by this equipment has taken parts manufacturing processes to new heights of automation. More advanced equipments are being developed including smaller versions of the machine such as those used in manufacture of medical equipments and other sensitive operations. How to Use Lathe Machine? This entry was posted in CNC lathe by Yash Shah. Bookmark the permalink.